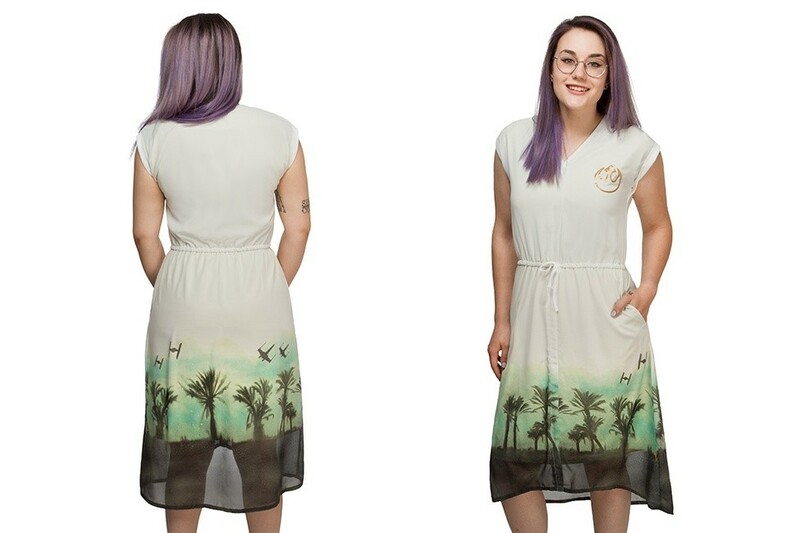 This fabulous Rogue One themed dress is now available at ThinkGeek. 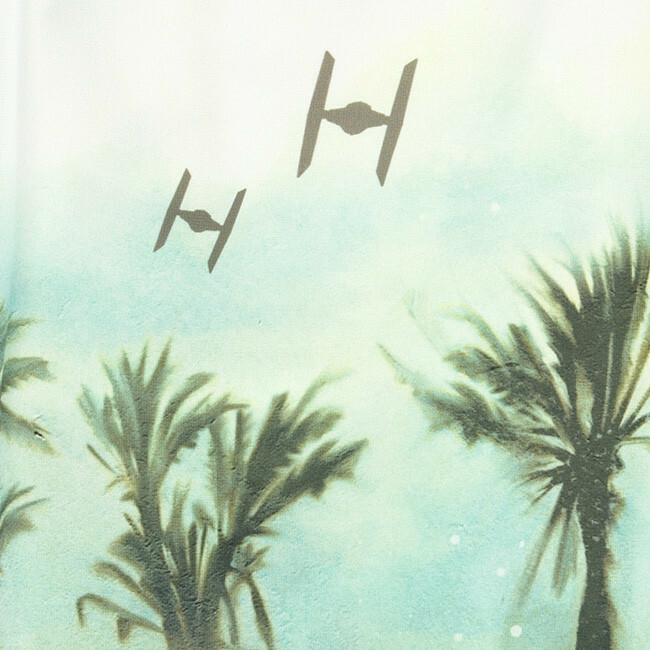 Part of the recent We Love Fine x Star Wars collection, the sleeveless dress features a metallic gold printed Rebel Alliance symbol on the upper left chest, while the lower hem has a Scarif themed print, complete with TIE Fighters and X-Wing Fighters. The dress is lined, with an encased elastic drawstring waistband – and pockets! 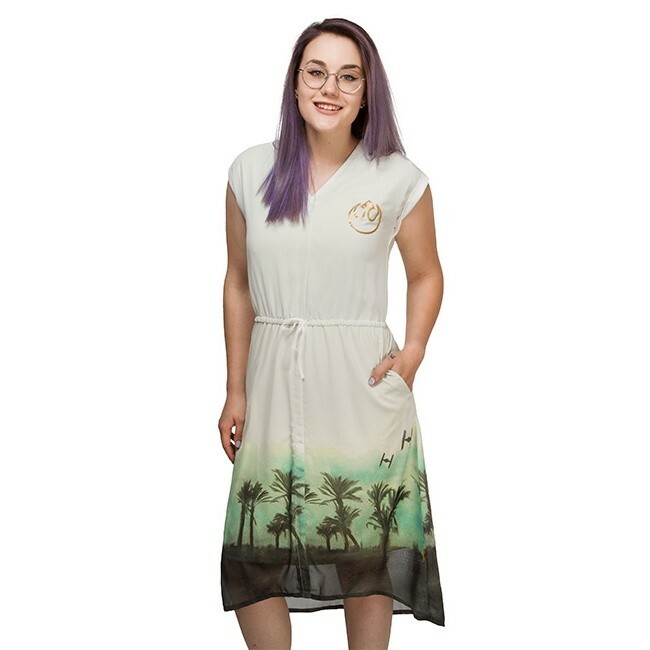 This Star Wars Rebel Desert Sleeveless Dress is perfect for those hot summer days. Toss it in your bag when you’re headed out to the pool. 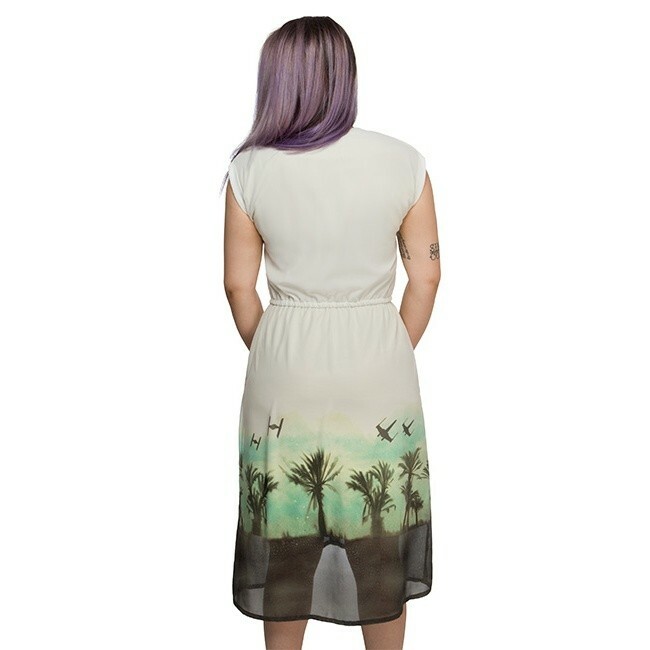 It’s an easy beachy coverup that’ll still get you into the fancy restaurant when you’re done relaxing by the water. Dual-purpose FTW. 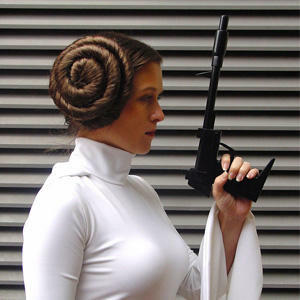 Available in sizes S to XL, the dress is priced at US$59.99 each – ThinkGeek can ship internationally (great news for fans, as We Love Fine cannot ship Star Wars apparel outside of the US).